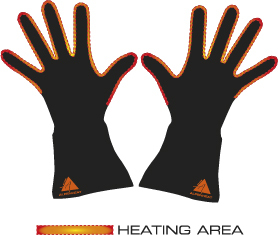 FireGlove Allround by ALPENHEAT are ideal gloves for everyday use in cold weather, thanks to the durable, robust material and the fact that they are water-repellent and windproof. Whether at the Christmas market, shopping, walking, Nordic walking, hiking, running, hunting, ski touring or any activity which exposes your hands to the cold, the gloves keep your hands cosy and warm where you need it must in your fingers. 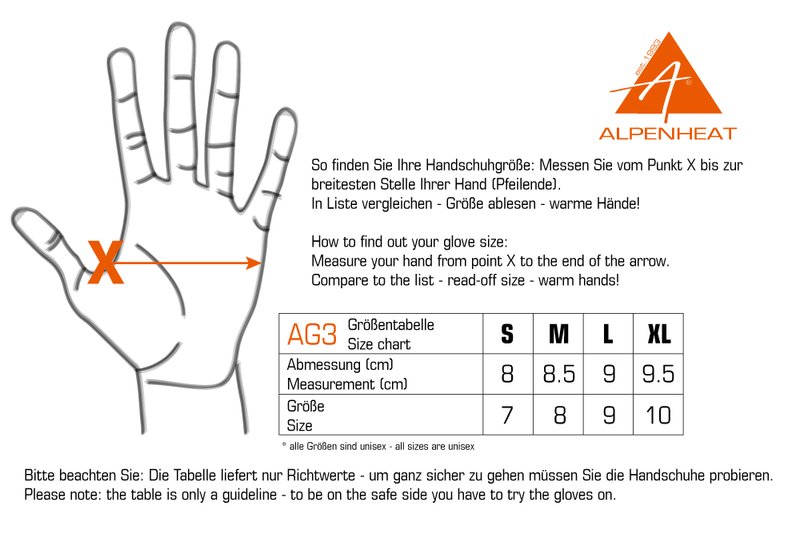 The gloves are particularly recommended for people with poor blood circulation or suffering from Raynaud's syndrome. The heating wire around your fingers and thumb gently and quickly warm your whole hand. The battery slips into the pocket integrated in the cuff of the glove. Turn on the heat by simply pressing the power button on the outside of the gloves for instant relief.